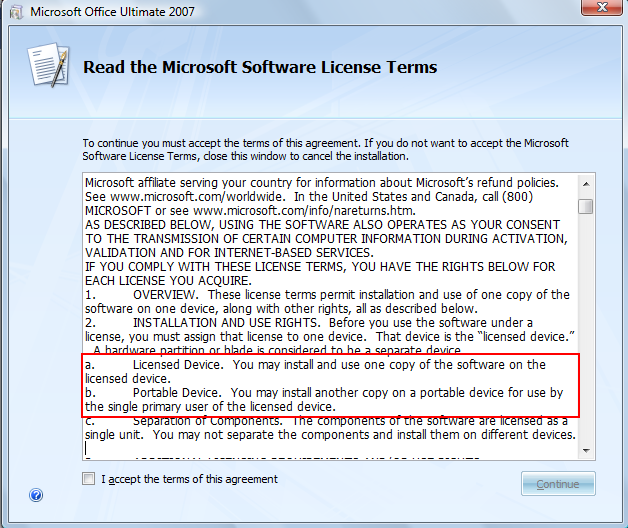 If you have a copy of Microsoft Office The EULA allows you to install it on your desktop and your laptop. Now this is fantastic. It means for me that I don’t have to use different tools when I have to go mobile. Thanks Microsoft, I appreciate it. This entry was posted in Geek, Technology, Work and tagged EULA, Microsoft, Office. Bookmark the permalink.